Here is my answer to the travel sticker question. 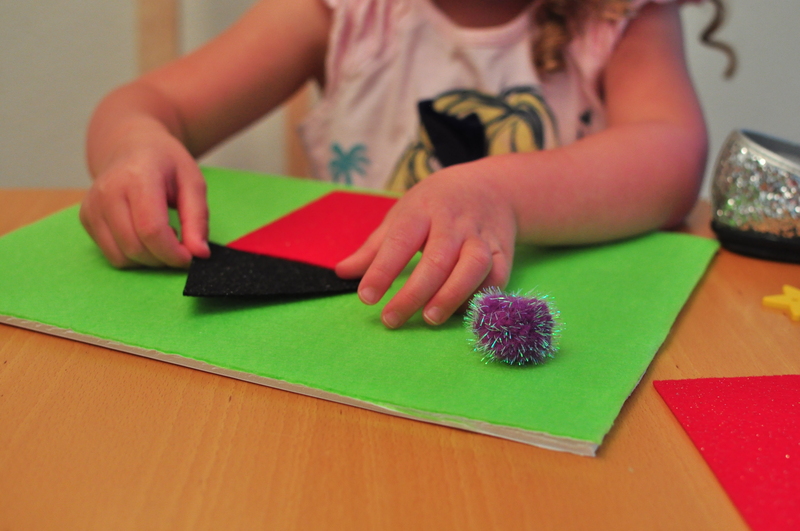 This is great for your kids to participate in choosing their own shapes and colors to make their board. Even better they are are easily transportable. 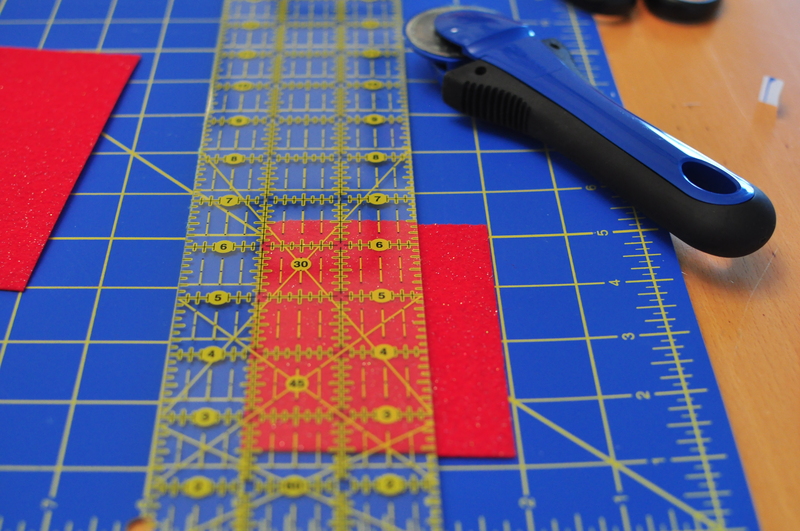 Take the piece of adhesive felt and measure it against the foam board. The foam board will give the felt rigidity. 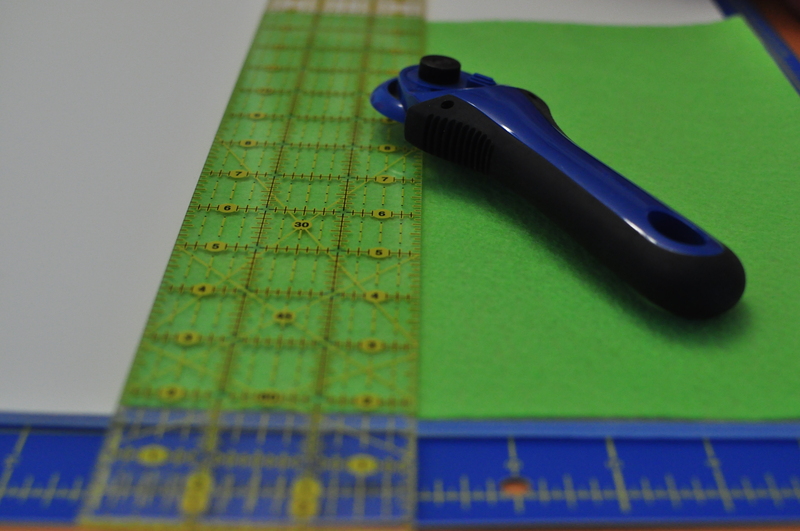 I used a rotary cutting tool, mat and ruler to measure and cut the foam board. 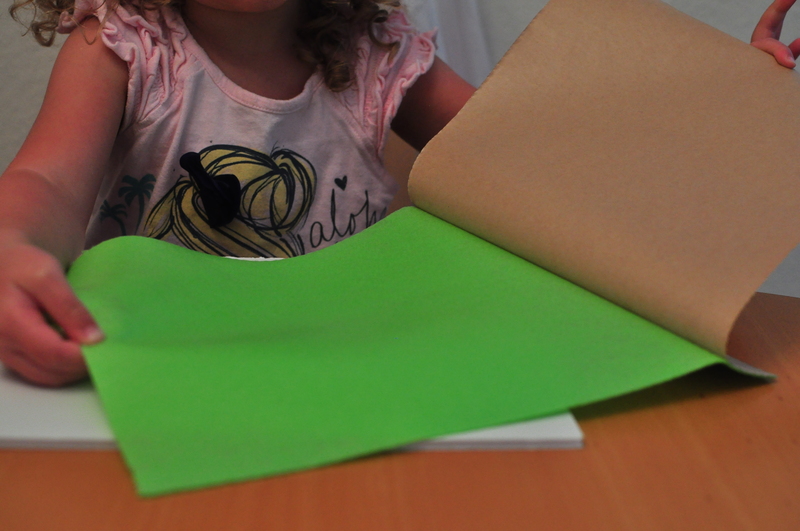 Remove the adhesive and apply the base felt level to the foam board. Let your imagination run free. Shapes, Flowers, Buttons, Ribbon, Foam People, Oh my. Cut the items down to desired shapes. 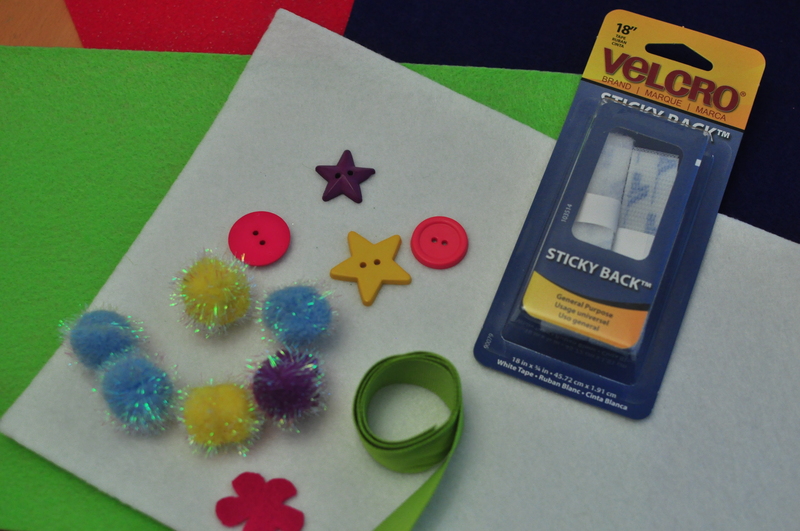 Place a small piece of the hook side velcro on each piece of decoration. A great job for little hands. Place all the bits in a zip bag for easy travel. Sit back and enjoy the countless hours or minutes of silence this craft brings. And yes that is a glitter shoe on my table too. As you can see we went with your basic red glitter house with black glitter roof, a neighborhood staple, and giant flowers that dwarf the people living there. A magical place for sure. 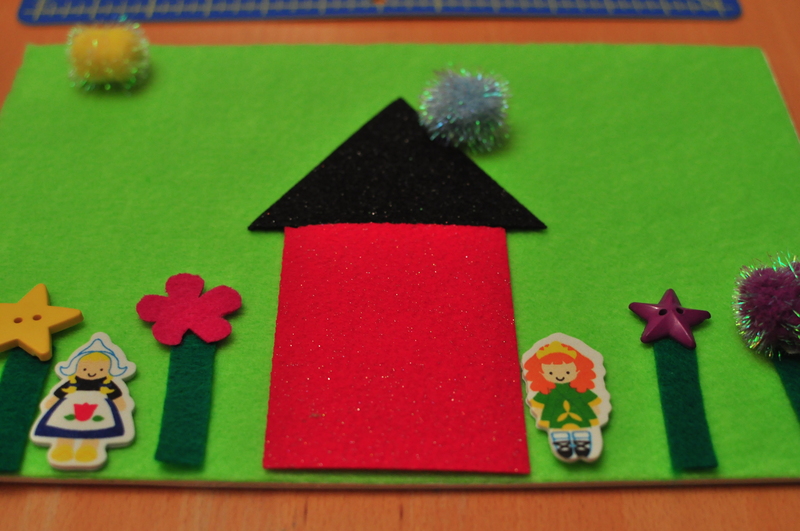 This entry was posted in Projects and tagged child, crafts, DIY, easy, felt board, kids crafts by 24useablehours. Bookmark the permalink.